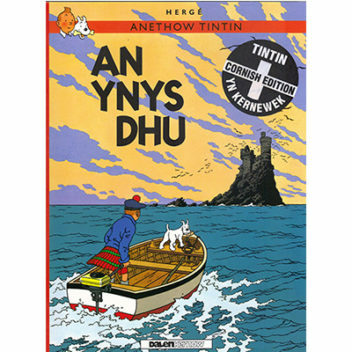 Tin Tin An Ynys Dhu. The first Tin Tin book to be published in Cornish. A4 size, full colour cartoon format.